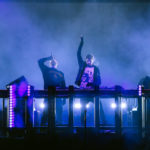 Who better to feature on the rap-focused project than two of the most sought after acts in the game, who rap their signature party-ready bars over Aoki’s trap production. 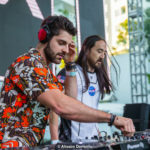 Aoki debuted “Night Call” back in May, at Austin’s JIMBLAYA Festival. Out July 21, the album also features rap heavy-hitters Gucci Mane, 2 Chainz, T-Pain and Wale.